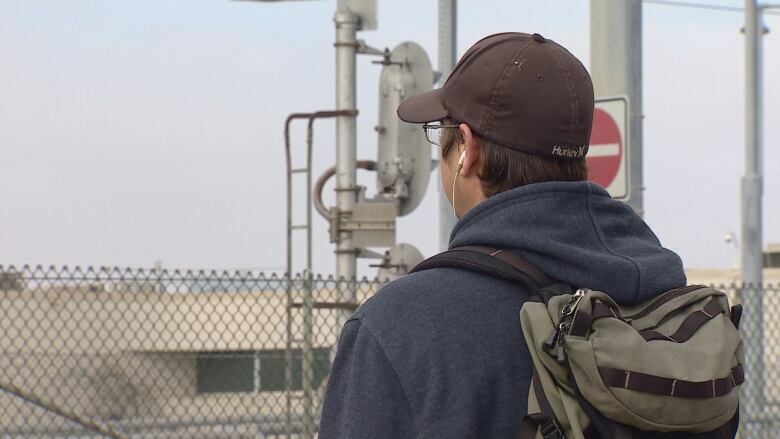 The head of safety at Calgary Transit says officials are considering a ban on the use of headphones near LRT stations after distracted walking near a northeast station was blamed for another death. 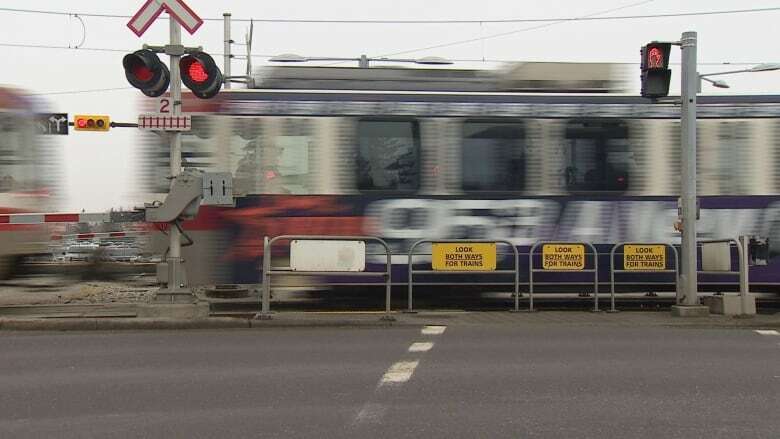 The head of safety at Calgary Transit says officials are considering banning the use of headphones near LRT stations after distracted walking near a northeast station was blamed for another death. "One of the things that I will have to actively look at as part of this crossing committee, is to say, 'OK, do we go as far as to create a statute that makes it illegal to be within a certain distance at crossing locations while you have got your headphones or earphone on?'" superintendent of transit public safety Brian Whitelaw said in an interview with CBC News Wednesday. "Some people might find that very intrusive, but we are going to have to take a look at that as a possible safety measure." Whitelaw was responding to the latest death at a C-Train station on Monday evening. A 30-year-old man was struck by a train near the Whitehorn station and investigators think he was wearing headphones and distracted by his cellphone. "It is not our first distracted walking fatality," Whitelaw said. The C-Train system launched in May 1981 and in the 36-year period since, there have been 74 deaths at or near stations, Calgary Transit reports. Of those 74 deaths, 66 were pedestrians struck by trains, three were cyclists and five people died in train-vehicle collisions. About two-thirds of those deaths are believed to be accidental, but 31 per cent were death by suicide. Between 1985 and 2017, most years saw two or three deaths with some outliers. Some years, however, there were no fatalities at all. The intersection at 36th Street at 12th Avenue N.E. is the deadliest with six deaths. In fact, 36th Street N.E. seems to have a disproportionate share of fatalities, with 19 since the northeast line opened in 1985. "The high-risk locations that are often identified are also the areas that have the most vehicles that go through them," Whitelaw said. "Where you have got retail nearby, some of the larger malls, we do tend to see higher passenger counts ... which could potentially play a role in why we see greater frequency of accidents at certain locations and not others." Whitelaw said all the safety systems in the world wouldn't likely bring the fatality count to zero. That, he said, would not cost a thing if more people would simply keep their eyes open for their fellow passengers. "Zero requires support from all of our users. We need people to look out for each other. We need people to unplug," Whitelaw said. "The real secret to safety is if we can break down barriers between individuals who use transit so that they do look out for each other. The safest transit systems certainly incorporates technology but ultimately it's the users of the transit systems themselves that make these systems very, very safe."